Diane Kappa: Press on Print & Pattern! I am so excited to be on Print and Pattern today! 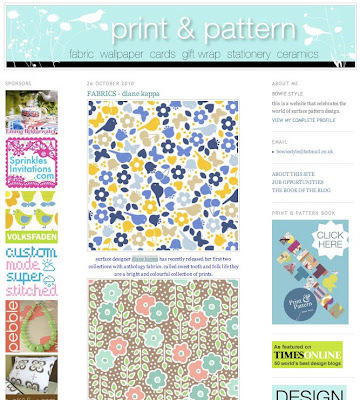 If you don't know Print and Pattern, it is a website that "celebrates the world of surface pattern design". Thank you to Bowie Style!